Before a big game, football fans rally cry to get their friends watching it together. So what if we took the idea of a rally cry between friends, and recreated it with an giant influential figure in football? 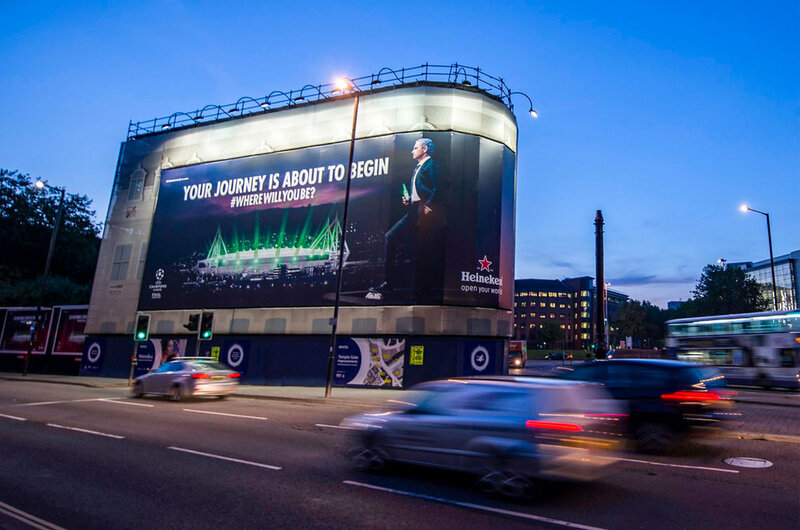 We brought the idea of a rally cry to a big scale with Jose Mourinho standing a rooftop calling out to the nation and asking ‘Where Will You Be for the UCL final?’ The aim was to build up excitement for the journey to Cardiff and welcome fans when they arrived. The final posters were put up at over 300 ad spaces in Paddington, Heathrow, Bristol, and most of all painting Cardiff green.